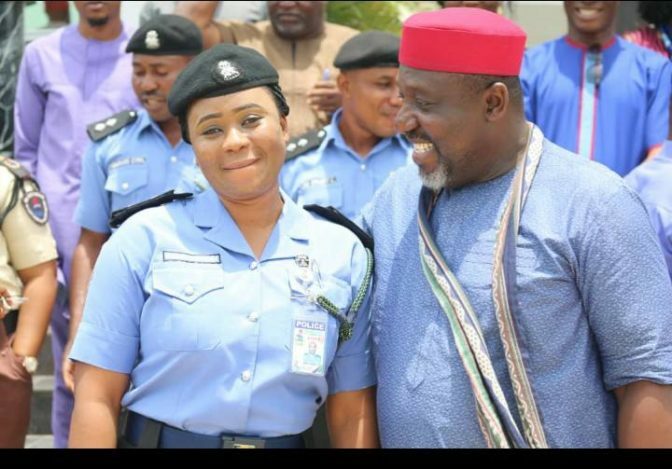 Imo governor, Rochas Okorocha couldn't hold himself as he was caught visibly admiring a female police officer during a recent event at the government house in Owerri, the state capital. 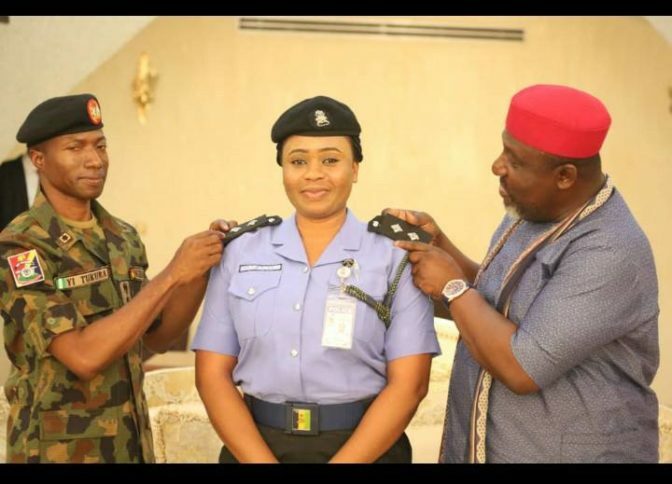 The incident happened while governor was decorating the beautiful police officer after her recent promotion to her new rank. The governor was joined by the Commander of 34 Artillery Bridgade in Obinze Brigadier Y.I Tukura. 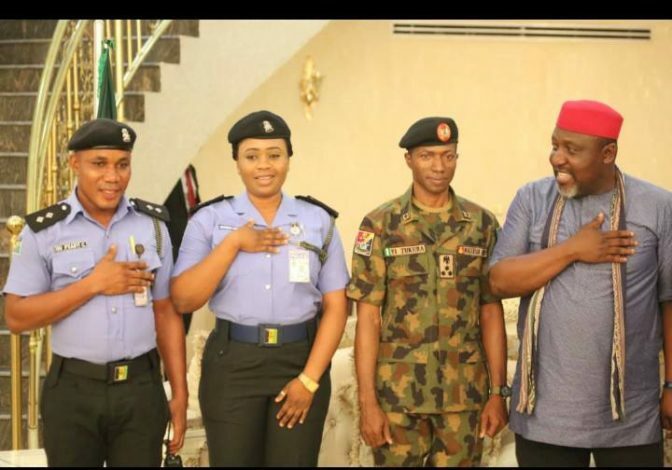 The governor was seen admiring the police officer which he reportedly takes as his daughter, according to the sister, simply identified as Genevieve who shared the pictures online.